Every year Old Forester releases a new Birthday Bourbon. Typically aged 11-14 years, these bourbons are always a unique expression of Old Forester. Each year is different, and each year there’s a lot of discussion about where the current release fits in relation to the releases of years past. Last year we had the opportunity to taste, compare, and review the 2008, 2009 and 2010 releases for Old Forester Birthday Bourbon. All three of the Birthday Bourbons scored high, with 2008 and 2010 being our favorites. 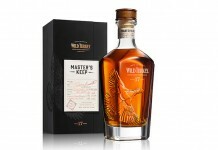 This year the 2011 Old Forester Birthday Bourbon gets a jump in price, going from $35 to $50, up a whopping $15 from 2008. 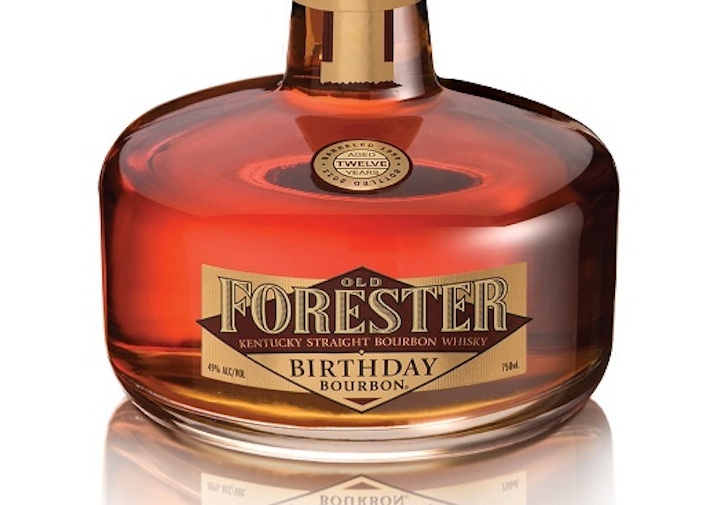 2011 Old Forester Birthday Bourbon (49%, 98 proof $49.99) is dramatically different from year’s passed. Pale amber in color, you wouldn’t guess that this bourbon was 12 years old (which is quite old for a bourbon). The nose is spicy with strong cinnamon and oak spice that pop right out of the glass. Underneath the bold spice there are some sweeter caramel notes but you really have to dig to get at them. The entry for the 2011 Old Forester is huge, monster oak, jumping on the palate and then building quickly to an oaky crescendo. The oak here is intense and almost all consuming. There are some sweet caramel and vanilla notes which support the oak, but if you don’t tune directly into them they’re easily missed. There’s a little heat that comes at the end of the mid palate and carries through the finish, which is long and all oak, with the slightest hint of honey vanilla. 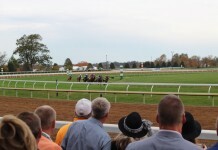 How much you like 2011 Old Forester Birthday Bourbon will really depend on your love for oak. This release cleverly flirts with the outer most edges of oakiness in bourbon. 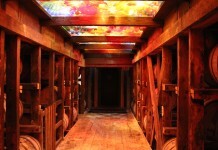 It’s an interesting hypothesis and for those who LOVE oak, it may be a revelation. Showcasing the oak’s role in whiskey has been a key element in many recent major releases (including Jim Beam’s Devil Cut) and Old Forrester does a superb job of delivering an intense and satisfying oak experience that shows the role of an oak barrel in the aging process.